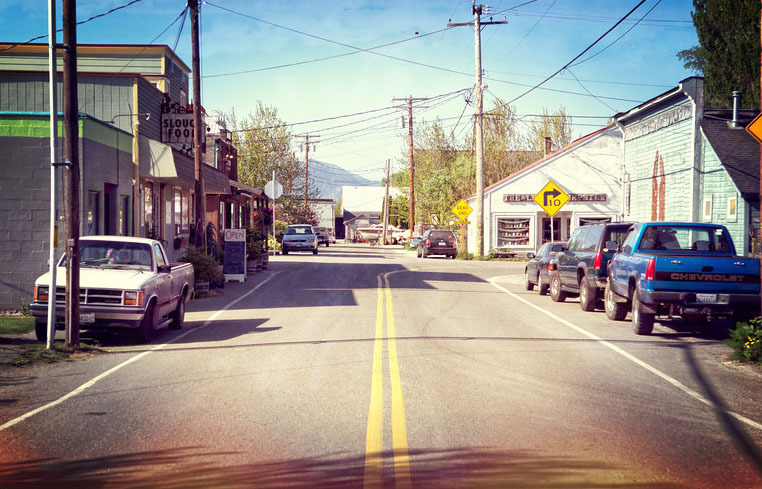 Founded in 1869, the town of Edison, Washington (named for inventor Thomas Edison), is one of the oldest in the county. Railways and highways slowly took commerce away from Edison as steamships and paddle wheel boats became obsolete. With a current population of around 130 people and about 50 homes, historic little Edison has now become a hidden secret. The Old Edison shares an area featuring local farms, cafes, bakeries, farmer’s markets, shops, etc. – right off scenic Chuckanut Drive. 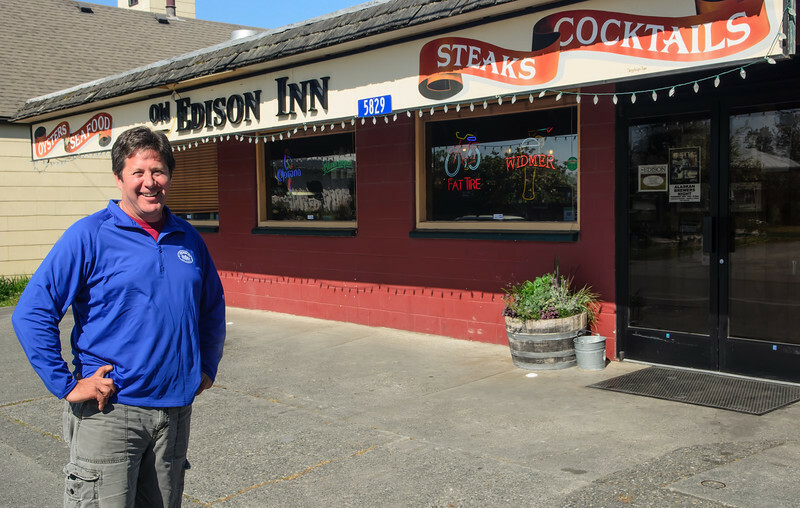 Owned and operated for the last 7 years by John and Lyn Highet, The Old Edison has been located in Edison since 1900 (or earlier) in at least 4 different locations. The current location was built in 1955 as Bloom’s Grocery and Post Office and may be the newest building in town. The Old Edison was moved to this property around 1984. John’s favorite place to be! Lyn – Former co-owner of the City Bakery in Mount Vernon and now an Operations Director for Skagit Valley College in their food service and culinary department. She’s been in the food service industry for many years and is always helping with the menu. Lyn is well known in Skagit and neighboring counties for her work in food sustainability and locally-sourced farm products, as well as 15 years of involvement with the Skagit Valley College Culinary Arts Advisory Committee. Some other places make this claim, but quietly we are the best. People call from miles away to ask if we have our oysters in. Come hang out in our back yard. We have an exceptional outdoor seating area, perfect for hosting large parties, reunions, or just to sit back and relax in the natural scenery. Feel free to come outside and play a game of corn hole!